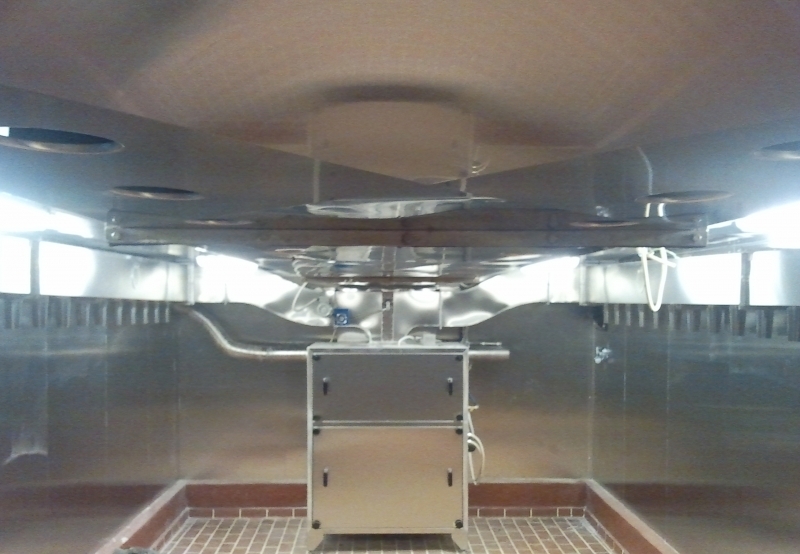 The chamber is made of stainless panel 80mm thick. The door is constructed with stainless steel and its width reaches 1100mm. 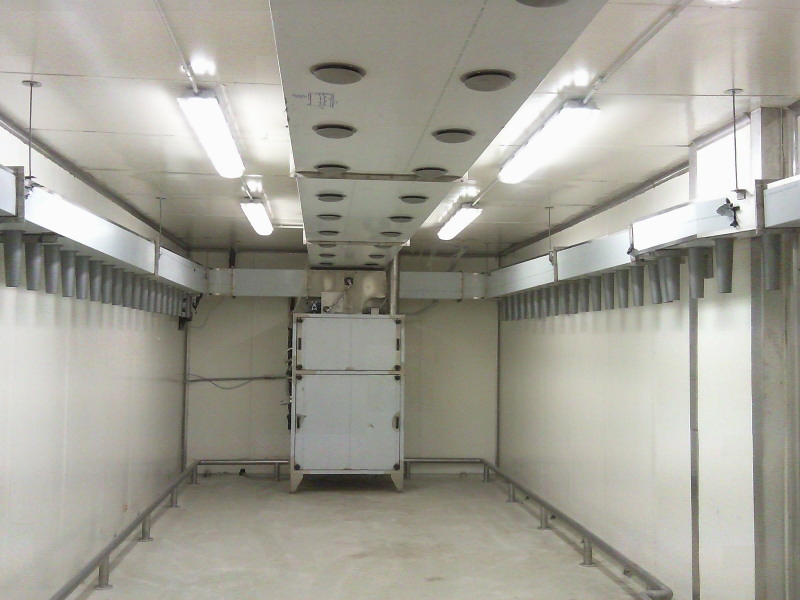 There is a central Clima unit that keeps the desired climatic conditions inside the chamber. 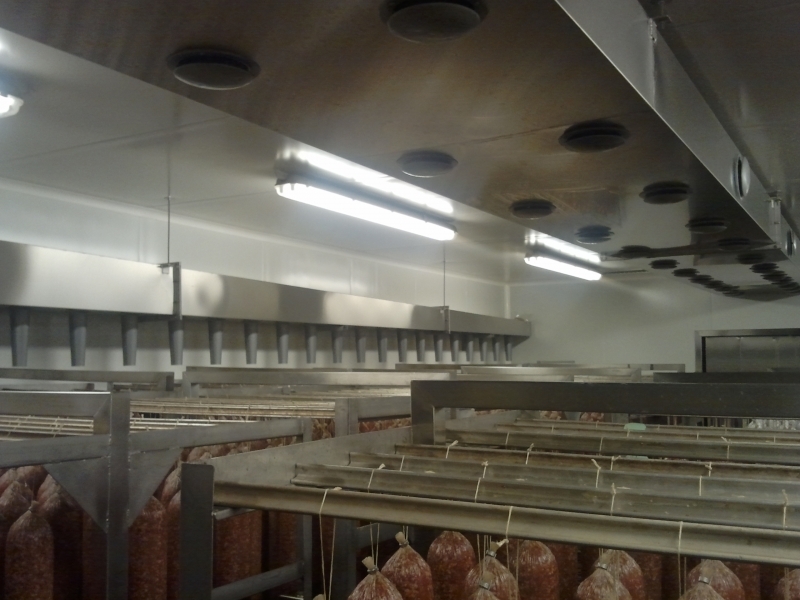 Stainless steel air-channels circulate air inside the chamber while temperature and humidity sensors help in keeping the proper conditions. 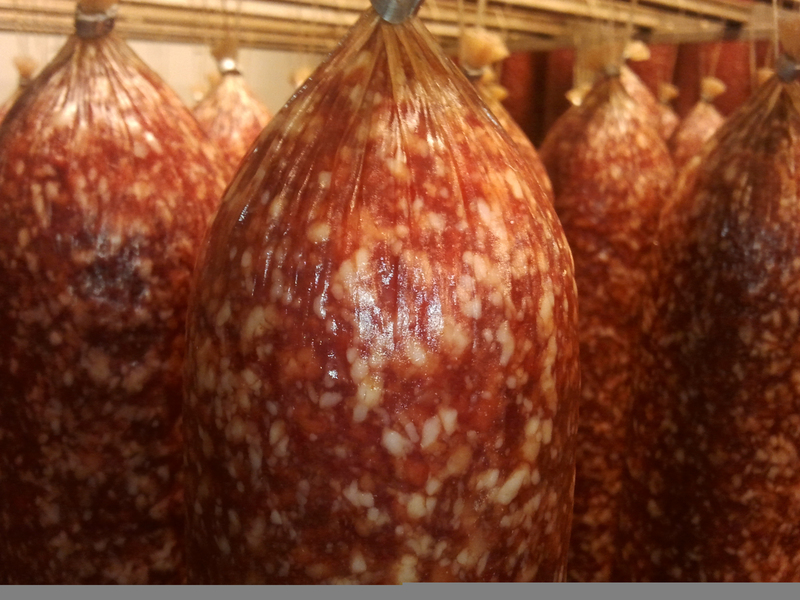 The dimensions of the chamber are: 1500X4000X2800 mm (LxWxH) and the capacity is 3 trolleys (3x300Kg of salami aproximately). 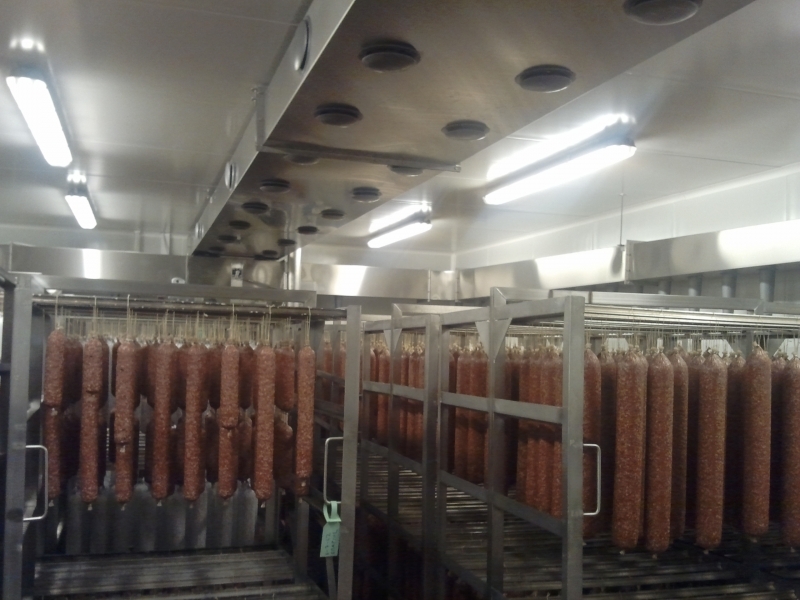 The unit is made entirely of stainless steel AISI 304 which is suitable to be used in the food production. There are electrical resistanses as well as cooling elements to regulate the temperature. Air is circulated via a centrifugal fstainless steel fan. The control panel is included in the electrical compartment with all the neccessary equipment that ensures a safe operation with no problems. A safety system is also present to warn us in case there is some malfunction or emergency. A sensor that measures the temperature of the core of the roduct is there to provide the best possible results.The installed power of the chamber is 15KW.